Oliver Luck was interviewed by Sean Pendergast on CBS Radio in Houston. When asked about the AAF’s debut game. Luck said that he was in Utah with his wife. He caught the San Antonio game. Luck was very diplomatic. He said that he liked it. He wishes the AAF well and thinks there is a strong market for spring football. You think the deal will be announced this week? I thought it would come before this week, but here we are and still no announcement. When the TV deal gets announced people will start to realize the big difference between the AAF and the XFL. Right now some people are content with BR Live and less than legal live streams, but some are very upset with the lack of broadcast TV in their deals. The XFL can offer highly-covered spring football to the latter group with half of the games on broadcast TV. The way, Oliver Luck is talking about it. He makes it seem like it’s a done deal. I don’t know why the announcement hasn’t come yet, if that’s the case. The AAF is getting some decent pub after week one. Their loose affiliation with the NFL is getting them a fair shake from the mainstream media. If they can survive financially and keep a decent following by seasons end. There’s a chance that their network deal could expand. To more than just twice a year. They reportedly did a 0.4 on the NFL Network for their Sunday night game. Not great but not bad either. That’s about 500 thousand viewers in that ball park. It’s a wait and see thing. Let’s see where they stand in 6 weeks. There’s no doubt that they are going to lose money in year one. The question is can they survive a large financial hit. They might if the NFL decides to fund them. The XFL’s battle from day one is a tough one. If they can land a better network deal and secure good talent. They have a chance to top the AAF. Was listening to Colin Cowherd this morning (not a big fan, but happened to be tuning in). He gave some praise to the AAF but more generally he was very bullish on spring football, stating he thought both leagues could thrive, emphasizing that this won't be a repeat of the 2001 XFL. Nice to get some endorsements this early in the process. The conspiracy theorists out there believe that the NFL wants to keep the AAF afloat for a few years, just until the XFL fades away. The feeling is that the NFL doesn’t want the XFL to become a viable pro sports entity. They want an alternate league like the Alliance to be under their thumb like the Gatorade league is for the NBA. This is why I don't like the AAF. I don't want a feeder league, I want a independent spring football league with little outside influence. That's why I like the XFL. They aren't partnering with the NFL, but they aren't antagonizing them either. You think the deal will be announced this week? I thought it would come before this week, but here we are and still no announcement. I think we'll see a lot of major announcements on Thursdays over the next few months, as the XFL seeks to steal thunder from the AAF. The TV deal, which could be split into two announcements, plus seven more coach/GM unveilings gets us through the end of the AAF's regular season. Do you think Hamilton gets announced this week? 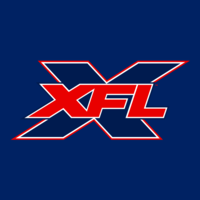 Or do you think that the XFL won't announce anything this week? My guess is that Hamilton gets announced tomorrow. As for the TV deal that would be a smart placement of a blockbuster deal right when people realize how hard it is to access the AAF's games.